I’m continuing my summer reading of Robert Silverberg novels from the most prolific period of his career, 1967-1976. I reviewed A Time of Changes previously and now it’s time for Tower of Glass. Simeon Krug, inventor and entrepreneur, is obsessed in getting a tower of glass built toward a star where he can communicate with outer space. The entrepreneur uses androids that he created to build this tower. The androids revere Krug and see him as their God. However, the androids have an agenda of their own and are determined to be treated as human. Their subplot reveals several surprising twists as it gets closer to the completion of the tower. I must admit I found their plight for being treated just like humans more compelling than Krug’s obsession with the tower. Tower of Glass did not read as smoothly for me like A Time of Changes. 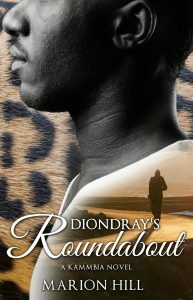 It took me awhile to get into the story. Nevertheless, Silverberg is fine storyteller and shows how a novel full of ideas can be written inside of two hundred pages. Silverberg combines science-fictional concepts, philosophical ideas, and Biblical allusions to create a thought-provoking novel about the role of a creator in relationship to their creation. 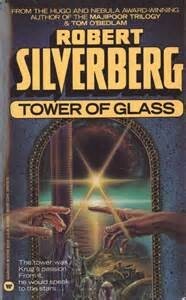 Tower of Glass deserves the reputation it has received since its publication in 1970 and affirms Robert Silverberg’s status as one of the Grandmasters of Science Fiction.